Clean the exterior and interiors of your home. General cleaning is a must. This is the cheapest way to prep your home. Clear all the clutter inside and outside the house even inside the kitchen cabinets and drawers as well your closet. 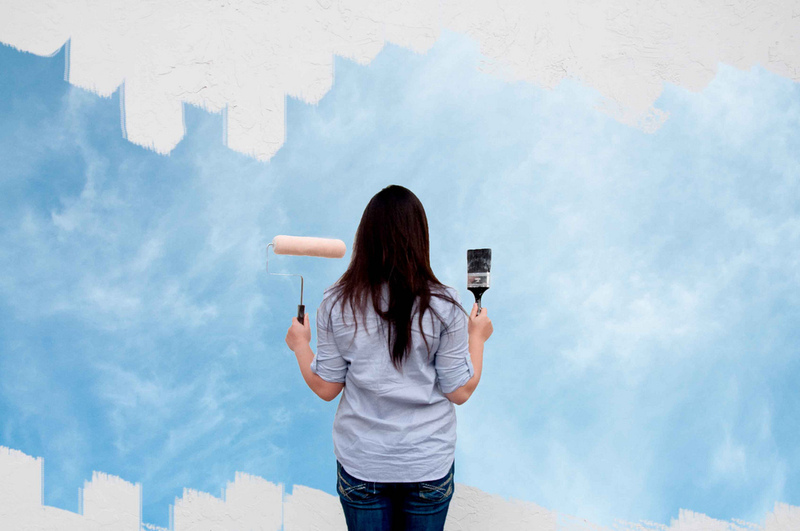 Spruce up the house with new paint. You can do this yourself instead of hiring a professional if you have the budget for both interiors and exteriors. Cannot afford to paint the exterior? Consider brightening up the front door by painting it a different color. Old kitchen cabinets? Add brand new knobs for an updated look. And, if you want to spend a bit more, consider installing a new faucet or updated lighting. If the bathroom vanity and toilet is too outdated and stained, you can replace them if you have the budget. Replace or remove the shower curtain and add a new bathroom rug. Hang fresh towels and stash all your personal items inside the cabinets. To add more, you can place scented candles for an added spa-like feel. Besides cleaning, fix anything that is visibly broken. One final tip: Consider getting a home inspection before you put your home on the market. Use the inspector’s report to address any items that come up. If you address those items first, then you’ll know that they will not arise during a potential buyer’s home inspection. If you or anyone you know needs further advice about a future home sale, please contact the agents at Broadpoint Properties.